Maine millwright Ard Godfrey spent only six years in the young town of St. Anthony, but in that short time he oversaw construction of the river’s first dam and the sawmills on its east side. He also oversaw construction of a house that still stands in Chute Square, which is at the intersection of Central and University Avenues. Godfrey was recruited in 1847 by Franklin Steele—an early entrepreneur who staked claim to the east side of St. Anthony Falls—to supervise building the dam and sawmills. 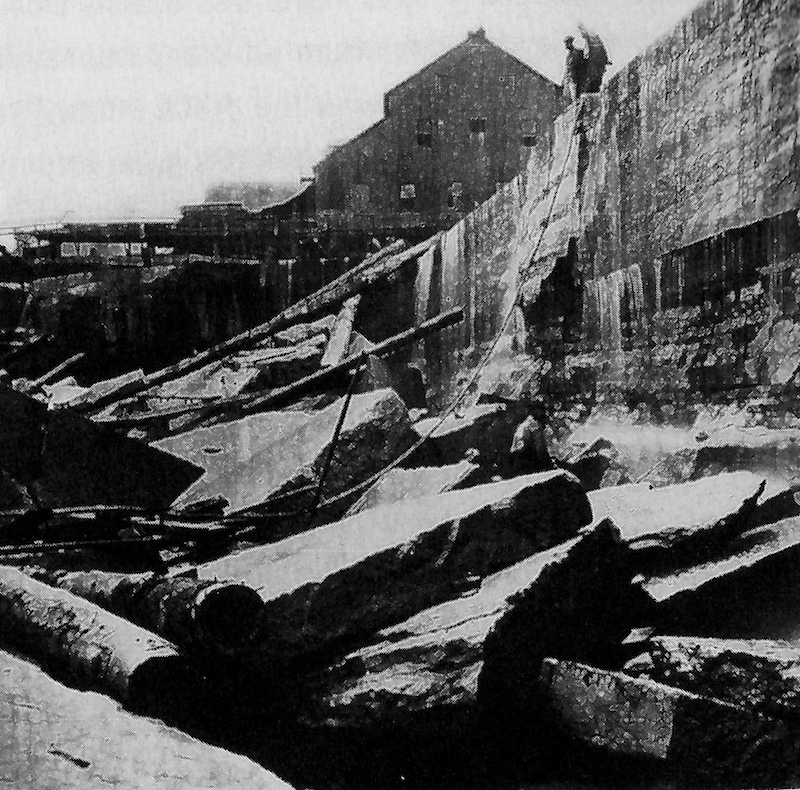 The dam, which spanned from above Hennepin Island to the foot of Nicollet Island and across the east channel of the river, diverted the river’s current to the east shore, thus creating a concentrated “drop” that increased power to the sawmill. 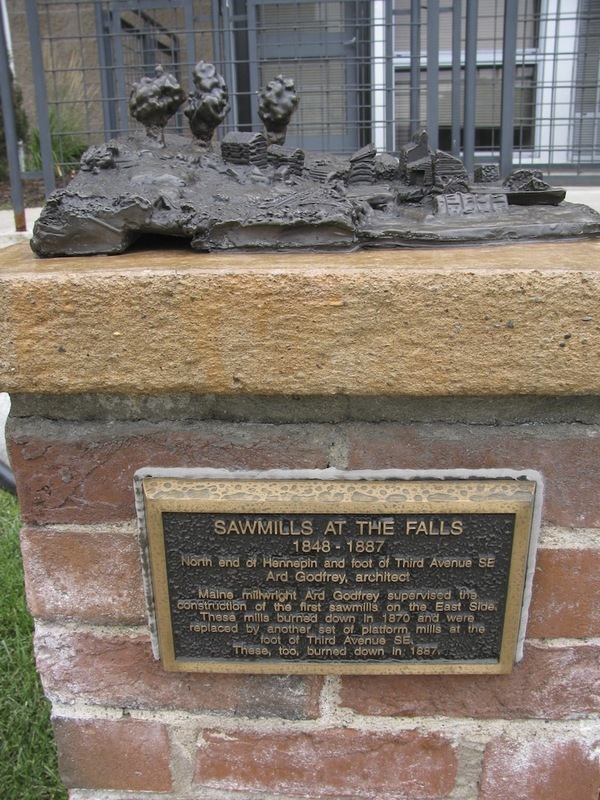 The dam and sawmill began operating on September 1, 1848. The sawmill ran 24 hours a day, six days a week, and turned out approximately half a million feet of lumber by the end of that year. Unfortunately, the sawmill burned down in 1870. And in 1887, the replacement mills that were built at the foot of 3rd Avenue SE did as well. To experience the mills’ “explosive” history firsthand, visit The Mill City Museum. 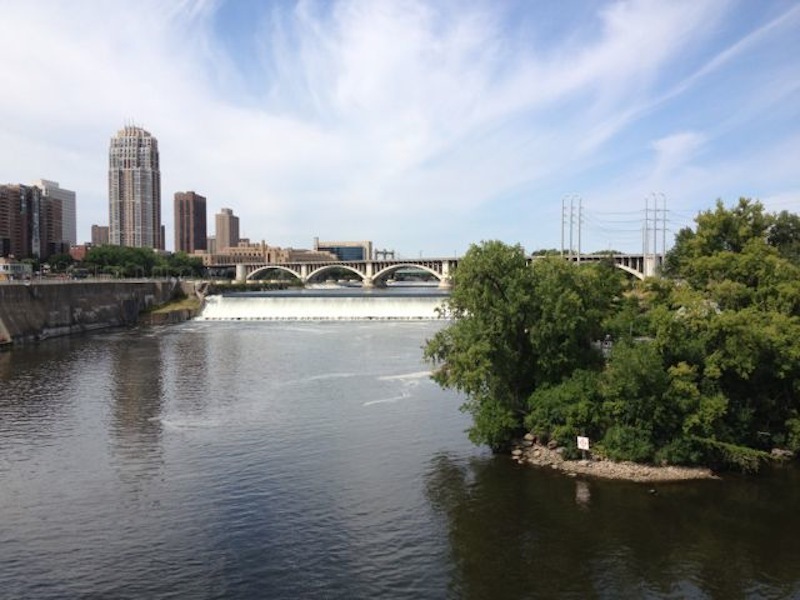 It’s just across the river, on the downtown side, and can be reached by walking across the Stone Arch Bridge. 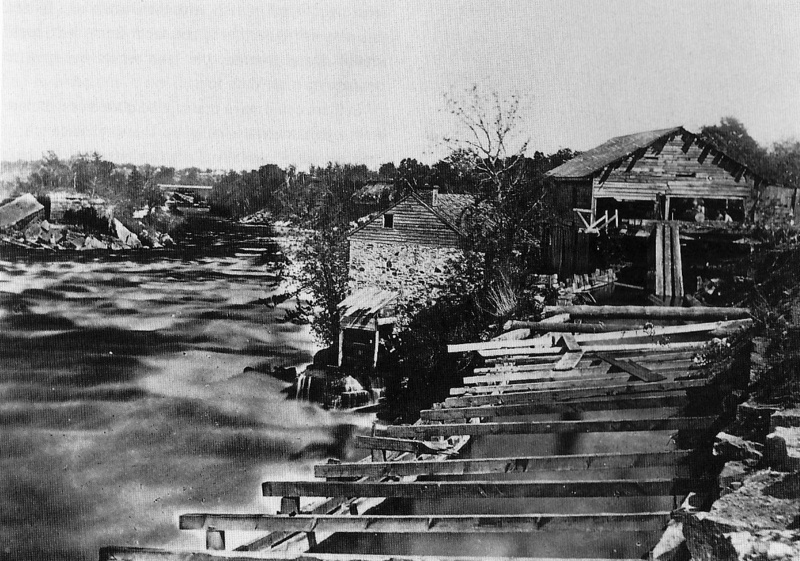 Marcy-Holmes Neighborhood Association, “Sawmills at the Falls (1848-1887),” Minneapolis Historical, accessed April 22, 2019, http://minneapolishistorical.org/items/show/96.